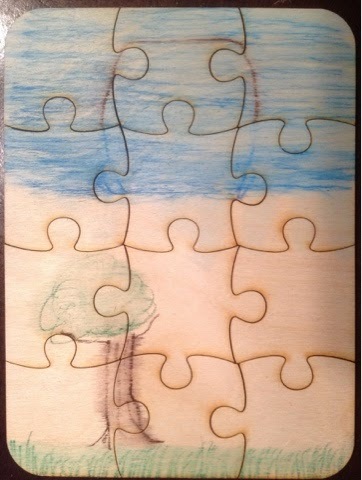 We have been having fun creating in the Cuts By Laser shop, but this wooden puzzle art canvas lets you be creative, too. Friends visited earlier this week and happily agreed to be product testers. 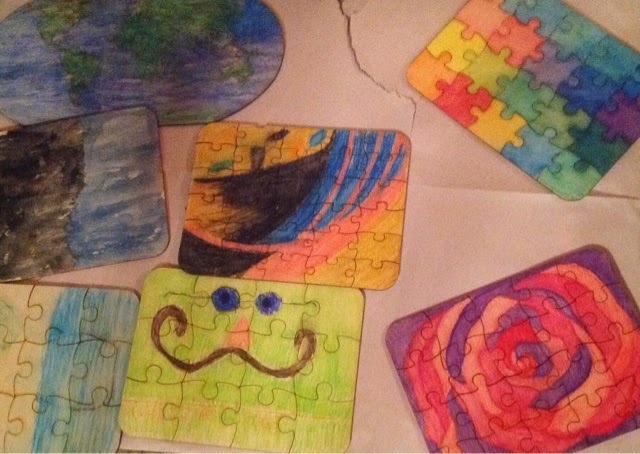 They all decided to use the watercolor pencils and paints, and their end results were as varied as their personalities. I can't wait to share the baby blocks we have been perfecting. Oh, those are cool! 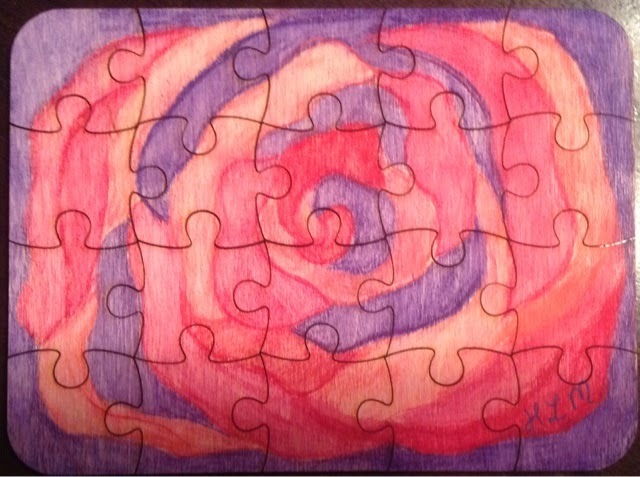 :) We've done the paperboard puzzles before, but wooden seems much nicer. Can't wait to see the blocks! I love blocks. We have several sets. Oh Jennifer-I love these! 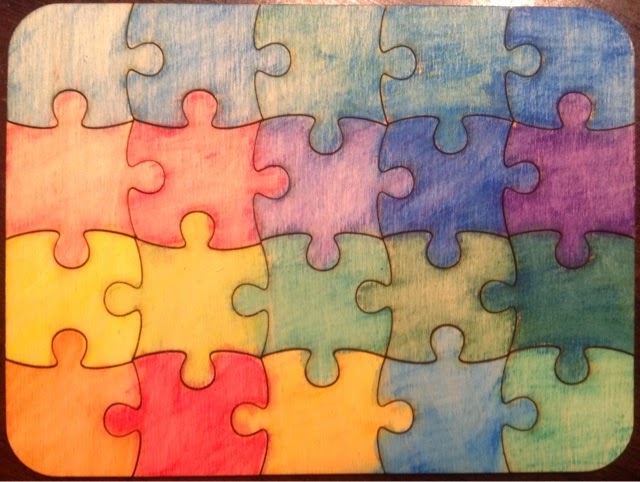 Especially the one with every piece a different color. Very cool!